Powerful Schools seeks to release the creative vision within all educators, and show how schools can lead the way in establishing structures and practices that will support young people to become productive members of a global society. If educators are liberated to recognise that the vast potential of schools need not be constrained by expectations about qualifications, curriculum, the length of the school day, or physical buildings, then their imagination soars, as does their capacity for invention. Dr Helen Wright is a leading commentator on education and a well-known school principal, leading schools in the UK and Australia for over 13 years. Since 2014 she has been deeply involved in developing new international schools in regions across the globe, as a Founding Partner in Global Thought Leadership. She is an Associate at LSC Education, recruiting exceptional leaders for international schools. Her international experience combines with her incisive focus on education to form a vision of the transformative power of education for all – locally, nationally and globally. In everything she does, Oxford-educated Dr Wright believes firmly and unwaveringly in the power of human beings – especially our young people – to make a positive difference and to change the world for the better. She is a non-executive director and advisory board member on a number of boards in the UK and overseas, including two education technology start-ups. Most importantly, she derives great joy from inspiring individuals and organisations to create original and innovative strategic and practical solutions to challenging problems. 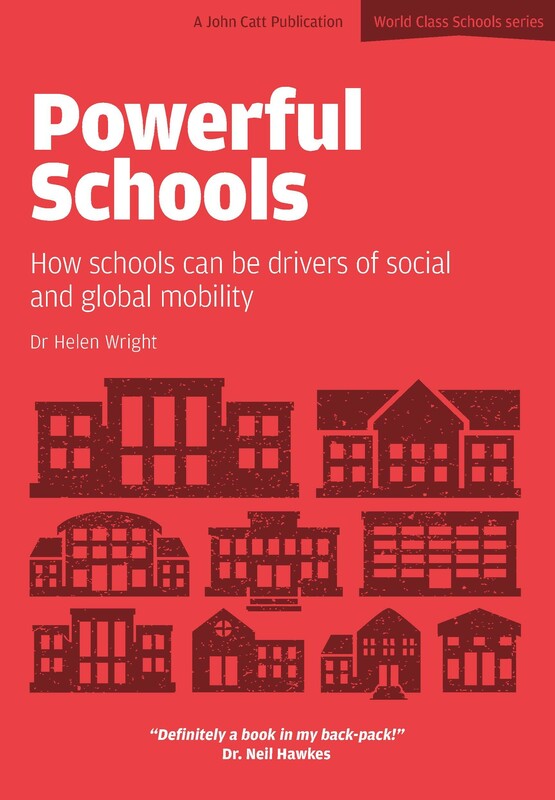 Helen Wright's 'Powerful Schools' is a call to arms for everyone involved in education. Helen draws on her extensive experience of the challenges and opportunities inherent in schools to set out what we already do and how much more we can achieve when we channel our energies appropriately. The text mirrors Helen's own limitless positivity and energy - I am fortunate to have met Helen and can vouch for the fact that she is living proof of the high aspirations she communicates in 'Powerful Schools'. My only reservation is a warning - reading this will inspire you to change for the better.